Text-based documents are much more friendly to revision control systems than, say, Microsoft Word documents or even LibreOffice Writer documents. Markdown is convenient. 90% of the time it is all you need. LaTeX is powerful. You can use it for that other 10% of the stuff you want to do. But you don’t want it to get in the way every time you start a new section or add a hyperlink. All of this can be nicely integrated to your build process. I will show you how I did this using grunt, grunt-contrib-watch, grunt-panda, and a dual monitor PC for a near-WYSIWYG authoring experience. Read on! RTFM in the third millennium? Switch to some user-friendlier piece of software. Ask their children or grandchildren to figure out how to do it. Depending on availability. If all else fails, they might go ask a question in a user community such as a forum, issue tracker, comment section, twitter, etc. This is the ideal user. Users will crawl on broken glass to avoid intentionally learning something new. Users will never read your documentation, not even at gunpoint. But there still are, and always will be, cases when you do need to produce documentation for your software. For instance, your intended audience might be technically minded. Or you might be explicitly required to produce a User’s Manual. Envato for instance is a platform that asks from its contributors to include a manual with themes and plugins. This makes sense, because users of themes and plugins are often technically minded themselves. They might even find it welcome to know that if all else fails they can dive into a manual and find the solution to their problem. It’s all a matter of perspective. Traditionally, whenever they dabble in typography, computer geeks such as ourselves have been using LaTeX, an evolution of Donald Knuth’s TeX. In addition to the immense power of TeX, there is also the advantage of the esoteric syntax which makes you feel like a l33t h@xor when you use it. In fact the language is so complex that there is an entire stackexchange QA site devoted to it: http://tex.stackexchange.com/. Purists might argue that easier is better. Bah! As a geek who enjoys assembly code and Perl, I tend to disagree, but I see their point: Pressing deadlines leave little time for you to play with TeX when fancy word processors are at your fingertips. But as a programmer you really don’t want to be using binary files in your revision control system. They don’t diff well. Hence people nowadays use Markdown, which is very easy to write and can readily be transformed to HTML, PDF, etc. albeit at a loss of expressive power. If you enjoy such handy features as unicode support and using your own fonts, you might decide to use XeTeX and its XeLaTeX compiler instead of LaTeX. Easy. Pandoc silently converts the markdown to LaTeX and then spares you the usual complexity of converting LaTeX to DVI, DVI to PS, and PS to PDF. In goes markdown, out comes PDF. Magic! If you want to control your LaTeX headers or other document metadata, you can prepend your markdown code with YAML headers. This paragraph is an abstract that briefly talks about this software manual. You can go on and use LaTeX syntax, Markdown syntax and <%= %> tags throughout the document. The only downside is that if you do something really really funky, panda might fail silently. In that case, simply attempt to convert the file manually using pandoc, as we saw before. You will then get error messages from the xelatex engine that will point you in the right direction. Once you’re satisfied that calling grunt panda does indeed generate your documents, why not sprinkle some grunt-contrib-watch on top of it all? 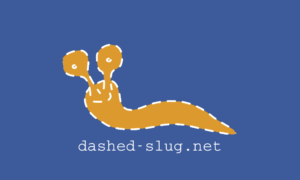 WordPress tools, for people who like slugs! Need an awesome hosting service? You will fail at WordPress unless you buy and read this book!